Home / Apps / Gaming Smartphones / Tech News / Are Fitness Apps Worth Your Time? Are Fitness Apps Worth Your Time? It has been estimated that by 2016 the market for fitness apps will be valued at $400 million, with over 1 billion downloads. While this may seem like a lot, it’s just a fraction of a global fitness industry worth more than $17 Billion. Figuring out your options of fitness app, is like being a kid in the candy store. Apps range from Runkeeper, which allows you to track your runs, walks and other related activities, to the ever-so-popular my fitness pal, which tracks your calorie intake and exercise. There’s also an app to help you meditate, an app for yoga enthusiasts, and an electronic heart rate monitor--we could go on and on. Religious users of these apps swear by them. They probably cannot stop talking about how healthier they’ve gotten thanks to--well, you get the idea. But, are fitness apps worth your time? 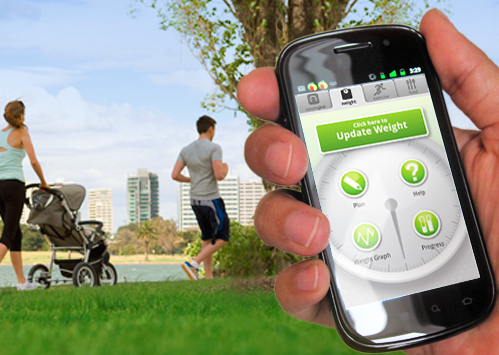 Over thirty percent of smartphone users use fitness apps to monitor their weight or diet. Studies have shown that, since most fitness apps provide general recommendations to users, without taking into account individualized information, such as age and gender, they are ineffective. We believe, however, that the result of the study, fail to take into account those who may have already committed to an exercise program and are just looking for dietary confirmation from the likes of Runkeep or my fitness pal. Not everyone who downloads a fitness app is looking to go on a diet, lifestyle management may be a key factor. Fitness apps might be a hit or miss depending on what your goals are. If you’re already fit and active, looking to further manage your daily activities, they will motivate you. If you’re looking to start on a new and healthy lifestyle, they may not be as helpful. Perhaps we might compare this to those who join the gym on cold January mornings, only to simply “disappear” from the grounds less than a year later. Don’t let that discourage you, though. A little willpower goes a long way.